One side of the pillow is a scary cat and the other side, a classic turkey. 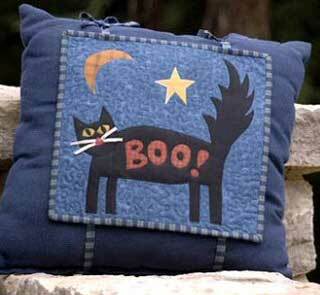 Here is a clever idea for a pillow that has one applique for Halloween and another for Thanksgiving. This pillow is fun to make and easy to do with this free pattern.